An apartment with 2 pcs. double rooms for 5 peoples (max: 6 people) can stay at the time! althought it can be reached within 5 minutes on foot. the terraces and balconies equipped with garden furniture give a full time entertainment for adults and children as well. The holder of the house lives on the top floor of the house in a separate appartment and helps the guest in any possible way. 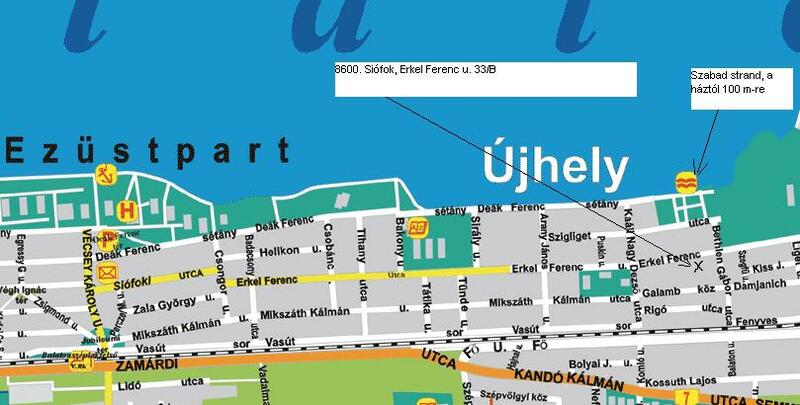 Hungary, 8600 Siófok, Erkel str. 33/B.